Jerry sought out other industry professionals who shared his vision and commitment to delivering a new level of service. This “strength in numbers” is successfully employed to counter the “divide and conquer” strategy used by insurance companies to control the automotive repair industry for many decades. As Managing Director, Jerry brings to Accident Solutions more than 25 years of professional experience in all areas of the motor body repair industry. Jerry has extensively researched all the insurance and legal processes involved in vehicle repairs and has a Diploma in Insurance Law. 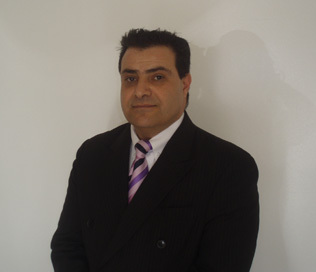 He actively maintains an extensive network of contacts in this specialised area of law. Jerry also has broad experience dealing with accident repairs as owner and manager of an automotive engineering business. He gained expertise in the structural safety of vehicle repairs and this underpins his unswerving commitment to the safety of repaired vehicles. He is passionate about restoring damaged vehicles to a standard as close as possible to that of new vehicles. How are we different from other repairers? We repair cars to the manufacturers original specifications. We consider that the car is owned by the client, not by the insurer. We do not cave in to pressure from insurance companies.